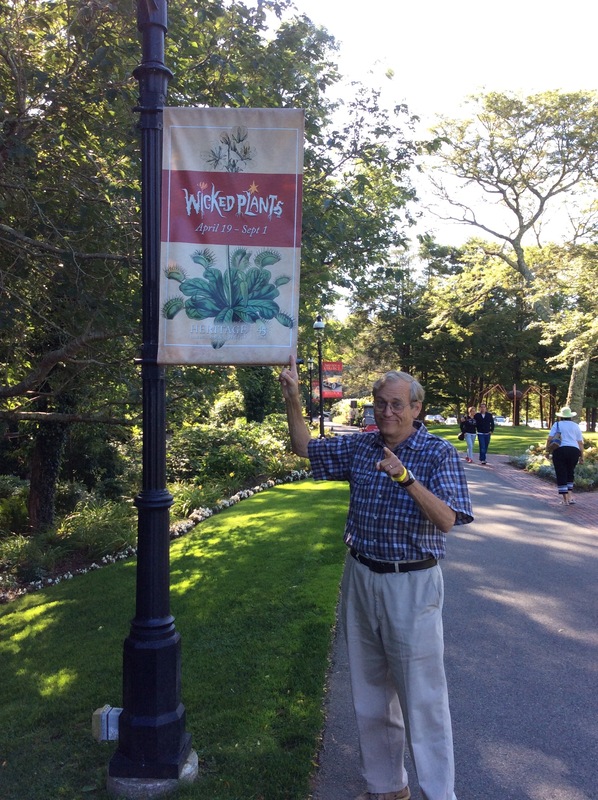 As I mentioned in my last post, Charley and I spend time on Cape Cod with our friends, Jack and Jean. 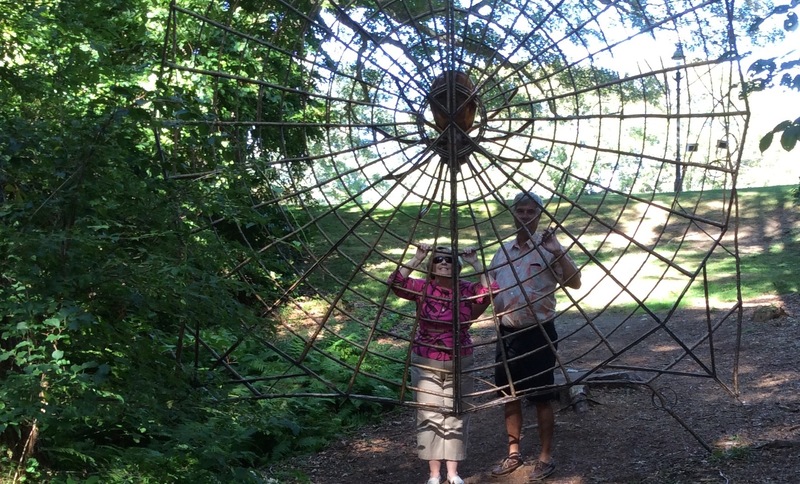 We’ve discovered a favorite place to visit in Sandwich called the Heritage Museums and Gardens. 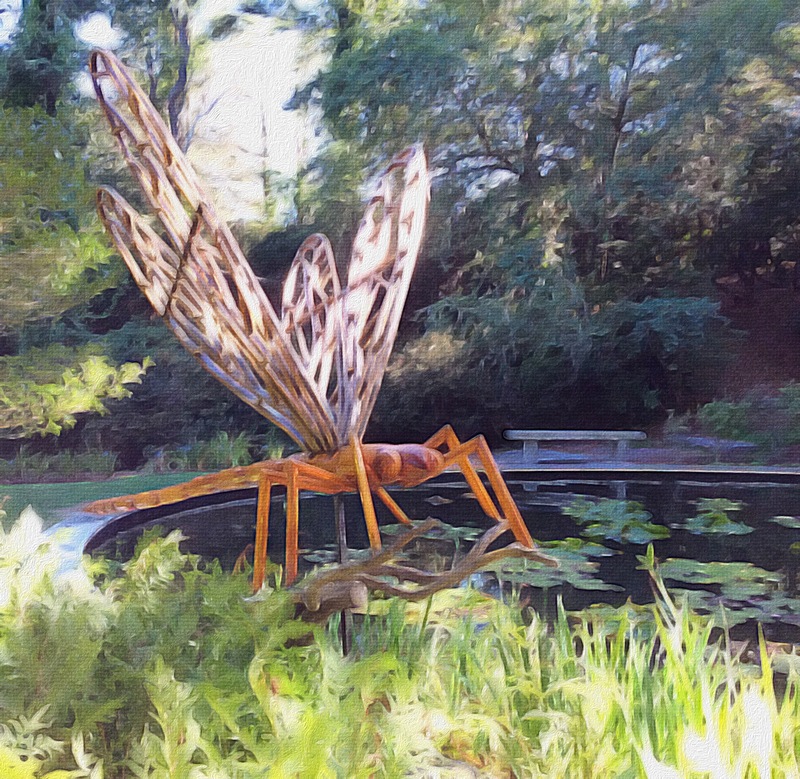 Every year, throughout the extensive botanical gardens, artist’s works are featured, interspersed among the many trees, flowering bushes, and plants. Walking along the paths is pure joy for a master gardener like me. 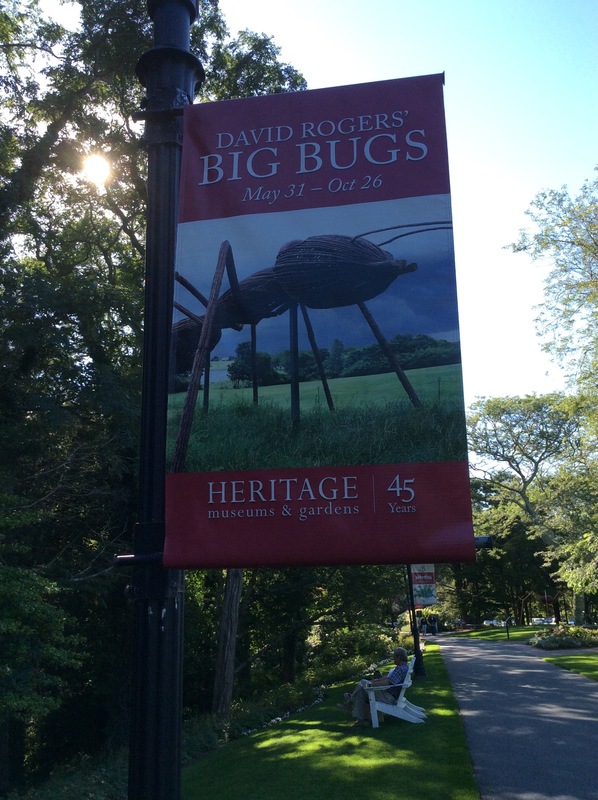 We spent an enchanting afternoon last summer experiencing an exhibit entitled “Big Bugs”. 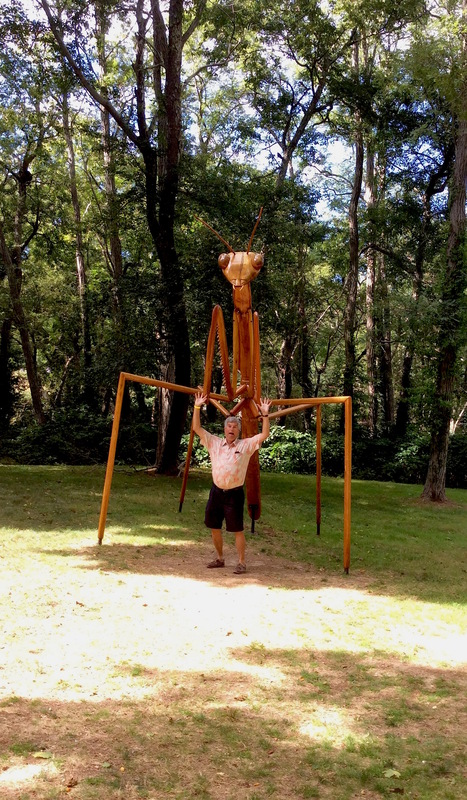 Gigantic wood sculptures by David Rogers were mixed in among gardens filled with Wicked Killer Plants. Taking silly photos in apparent peril amidst the natural beauty gave our imaginations a real work-out and I have to say, when we returned last week, I missed those big bugs. This year’s exhibits proved to be a bit more sedate. Victoria Browning Wyeth, great-granddaughter of N.C Wyeth, granddaughter of Andrew Wyeth and niece of Jamie Wyeth was scheduled to give a talk on their art at the Special Exhibitions Gallery. The Wyeth family is filled with prominent artists following in the footsteps of the patriarch Newell Convers Wyeth. In his lifetime he created over 3,000 paintings and illustrated 112 books including the famous Scribner Classics for which he is best known. His son, Andrew Wyeth, a realist painter is one of the best known U.S. artists of the mid-20th century. His most famous works are the Helga Series of 240 paintings and the iconic Christina’s World which is on exhibit at the Museum of Modern Art in New York. Andrew’s son, Jamie Wyeth, is a contemporary realist painter whose portraitures are reknown throughout the world. 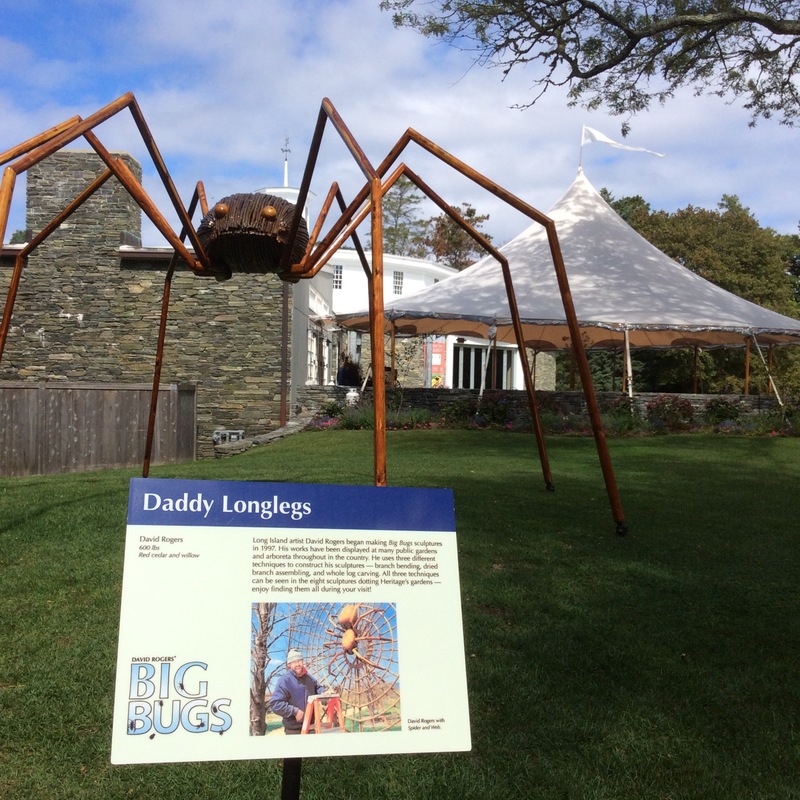 It was through the eye’s of Andrew Wyeth’s granddaughter, Victoria, that we were given a personal glimpse into that famous family and their amazing contributions to the world of art. When she was fourteen years old, Victoria began interviewing her grandfather, Andy, until his death in 2009. For over twenty years, she has been sharing these reflections and her own personal experiences living with this famous American family. I’ve included a video of a discussion she had with Patty Satalia which incorporates some of the information we learned during her talk. She is a charming, personable young woman and the hour we spent with her was enlightening and entertaining. 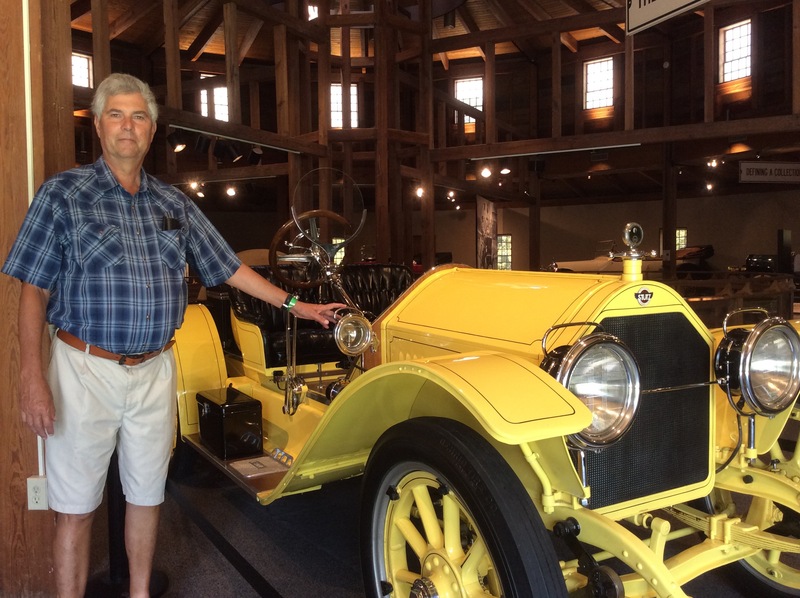 From there we went on to the automobile gallery exhibit of J.K Lilly III “Driven To Collect”. 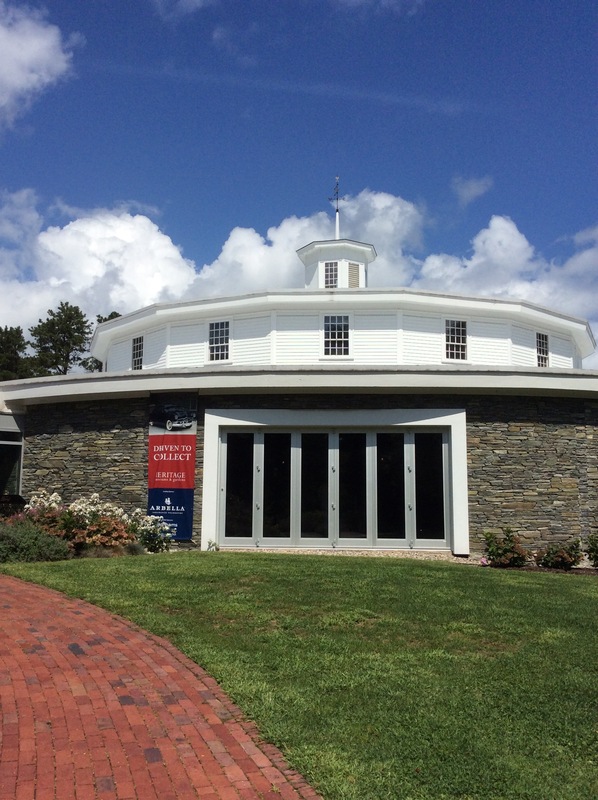 This is housed in a replica of the round barns made famous by the Shakers. You can learn more about the Shakers in my book, A Berkshire Tale. 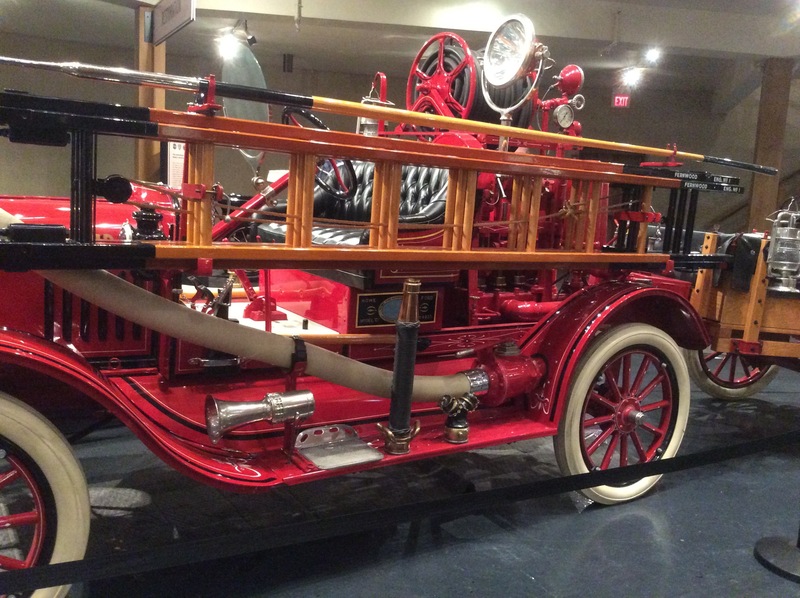 My favorite vehicle this year was a red fire engine. The Heritage Museums & Gardens are open from mid-April to mid-October every year. It is a wonderful place to bring children, as they have a magnificent Tree House area, a lovely Carousel and an Adventure Park where you can fly through the trees. From November 27 – December 27 (Friday – Sunday) from 4:30 – 8:30 “Gardens Aglow ” will be opened to the public. Worst Day, Best Day Ever! It sounds a fascinating place to visit. Thanks for taking me on a ‘virtual’ tour. Beautiful, I would love to go there. I have a book by Andrew Wyeth titled Andrew Wyeth: The Helga Pictures. It is a lovely book and it was gifted to me several years ago. I never paid much attention to it until recently. When we moved, we donated a lot of books but I kept this one because of it’s beauty. 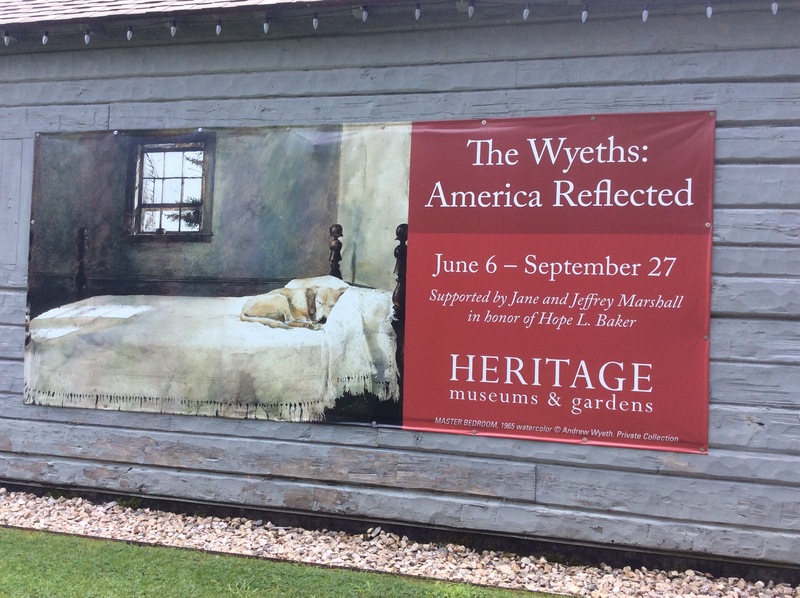 The entire Wyeth family is incredibly gifted. If you ever get the chance to hear Victoria speak, (she tours museums around the world) go. The YouTube video of her interview is very much in the style of her lecture. I’m glad you liked the post. 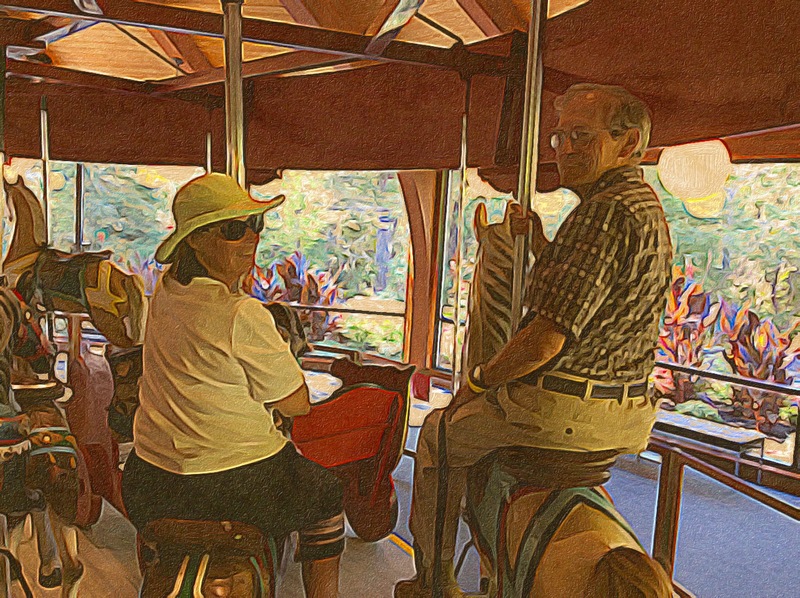 Sometimes, I’m not quite sure, yet, what bloggers will like.I started the blog primarily for the book, A Berkshire Tale, but got led astray (in a good way) by Blogging 101. I blog for the fun of it. I am not sure what bloggers like either and I would like to find a niche. In the meantime, I just plod along and have a good time with it. We are definitely kindred spirits! 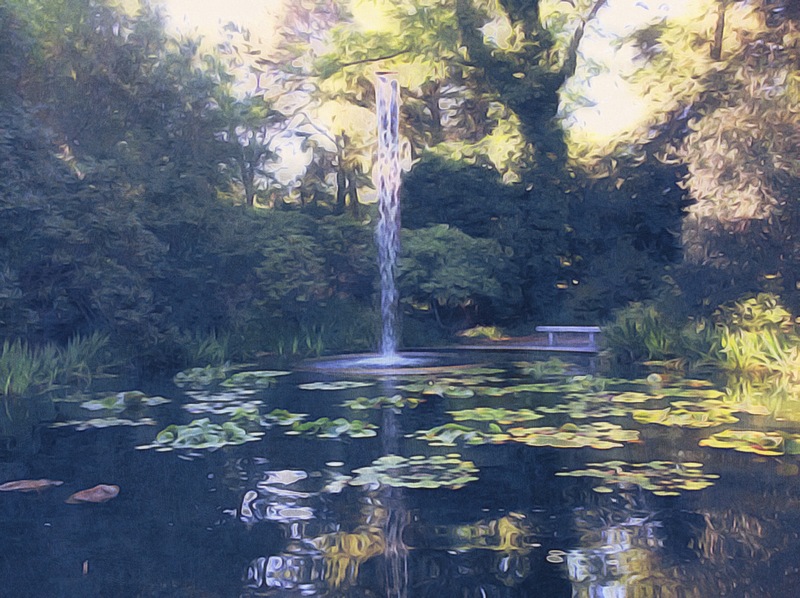 Those gardens look amazing – so tranquil. 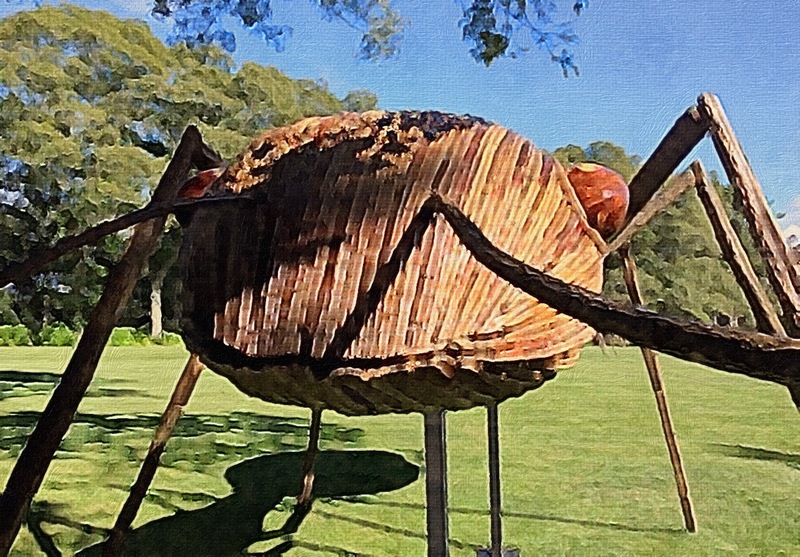 I just love those giant bugs. Interesting information on the artists Wyeth and the rest of the trip looked like an enjoyable experience too. I’m glad you and Charlie are out and about making the most of your health and marvelous relationship. I love this place. I could live there! We’re having lots of fun and grateful for every day. Thanks! Thanks for posting the Wyeth interview. I learnt heaps about the people behind the name(s). I’d seen a PBS documentary years ago on NC Wyeth, but really didn’t know much about the family until Victoria’s talk. She is a well-known photographer, but never once mentioned it – just the fact that she didn’t have the talent to paint. I found her extremely down-to-earth. I was really impressed by Victoria – I’m going to listen to her again, and then check out some of the art on line. I liked the way she talked about art needing more than talent; there’s also the passion to stay with it, and the hours of hard and painful work. Yes, she learned much listening to Andy all the years. Her Uncle Jamie still lives in Maine and works every day. He’s the one she describes painting in icy cold weather, hands freezing and shaking. That’s passion, I’d say. Me too – that image of her uncle stayed with me! Wow, I can see why you like to go there, it’s so beautiful! And I really didn’t feature any of the gardens. You’d love it, Yvette. I have always heard of this place but have never visited! Next year, I’ll have to stop by. Next time you find yourself on the cape you should venture up to Wellfleet! I just did a feature on it for my new travel blog. Not as far away and exotic as Saudi Arabia, but I takes what I can gets!